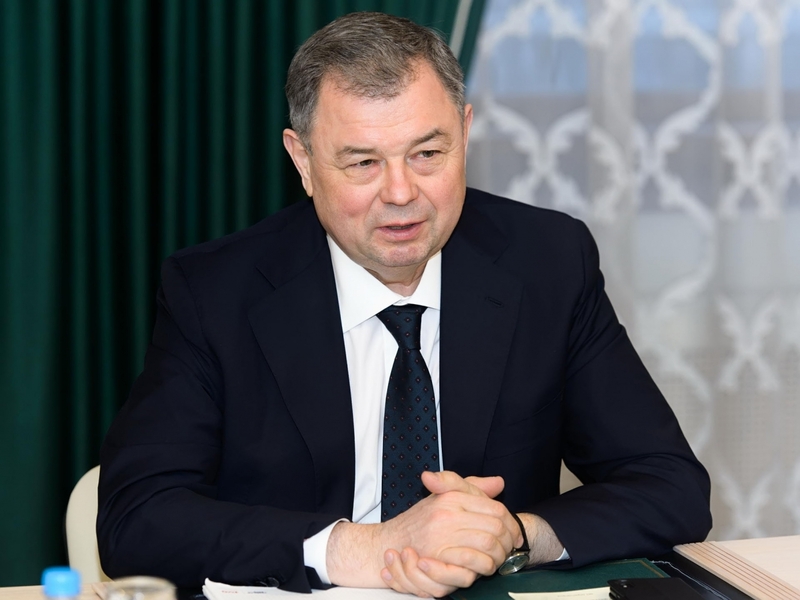 On February 5, 2019 Anatoly Artamonov, Kaluga Region Governor, held a meeting with Sylvie Bermann, Ambassador Extraordinary and Plenipotentiary of France in Russia, who was on an official two-day visit in Kaluga. In his welcoming speech Anatoly Artamonov spoke favorably of economic and cultural contacts between Kaluga Region and France. He said: “We are pleased with the way of our cooperation development”. The Governor also noted that a recent meeting of President Vladimir Putin with French business community and the intention of French President Emmanuel Macron to take part in the Saint Petersburg Economic Forum would donate to strengthening and development of business relations between two countries. 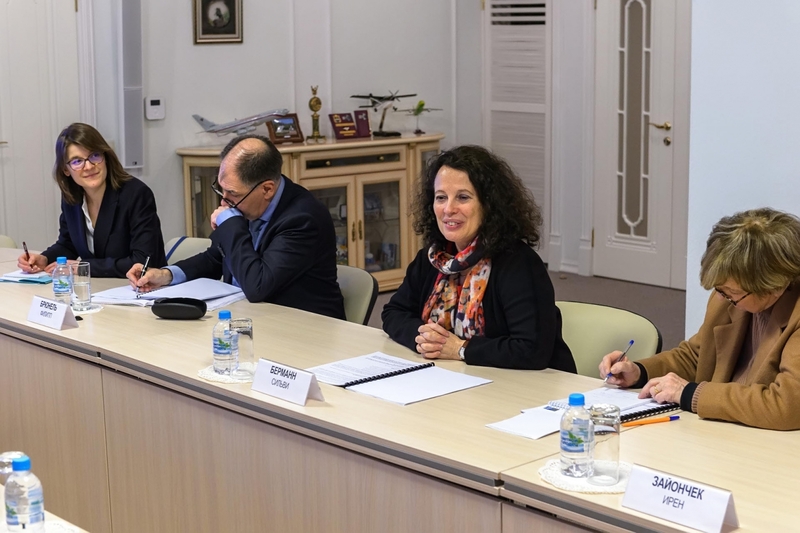 This is the first Sylvie Bermann’s visit to Kaluga in the capacity of the Ambassador. 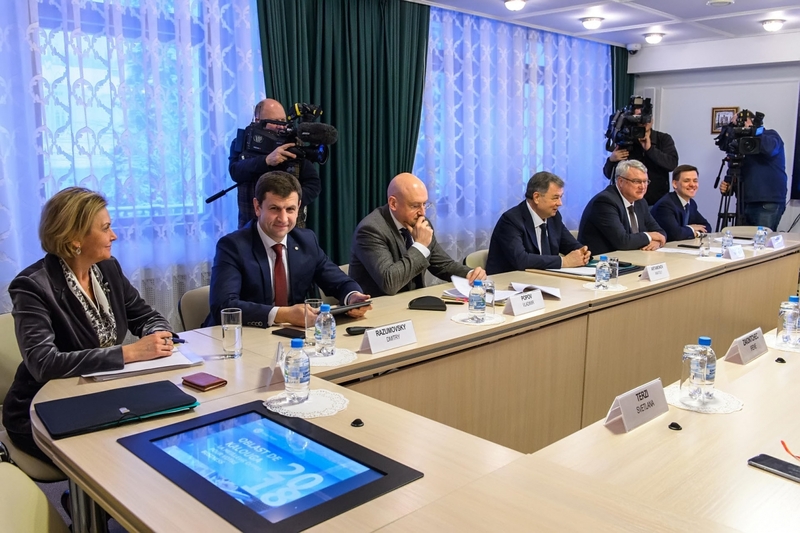 A number of French Embassy officials, namely the head of Economy Department, First Secretary and Press Attache, accompanied the Ambassador in her visit to Kaluga. 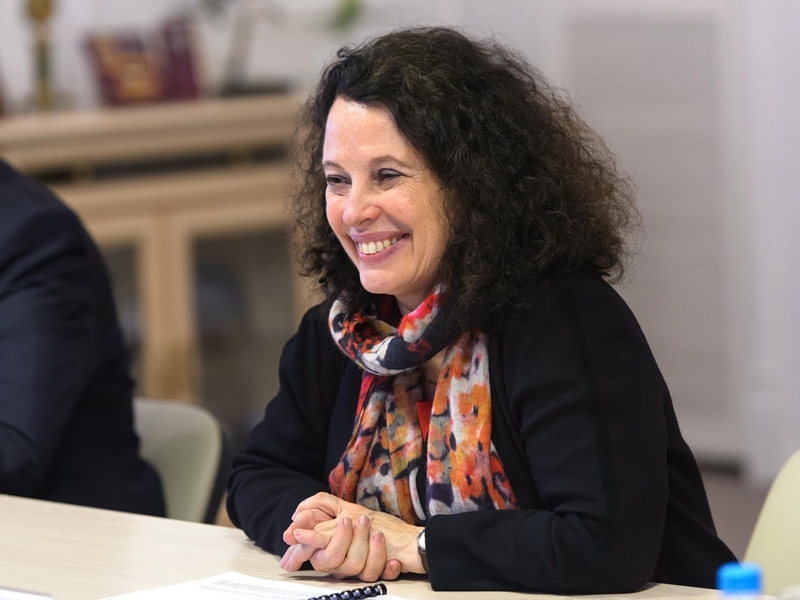 She said: “I know that about twenty French companies operate in Kaluga Region. We are pleased with this fact. We should think of further development of our cooperation”. 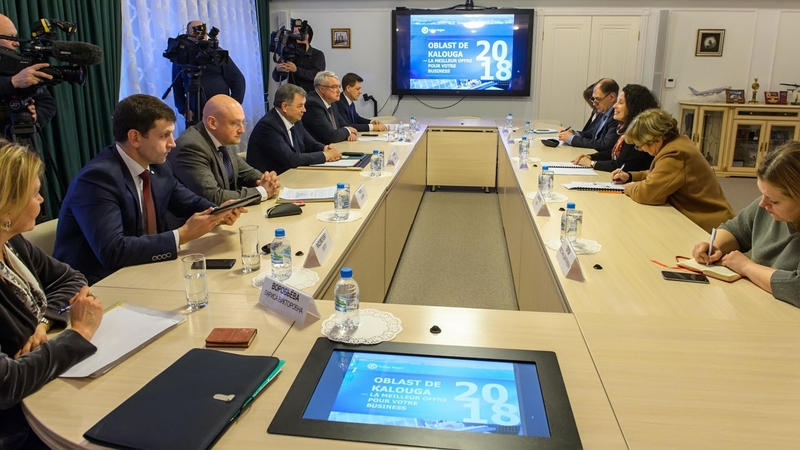 In the course of discussion Sylvie Bermann expressed interest in the conditions offered to investors coming to Kaluga Region, as well as New Silk Road project, a railway route for transportation of goods from Russia to Europe and Asia. 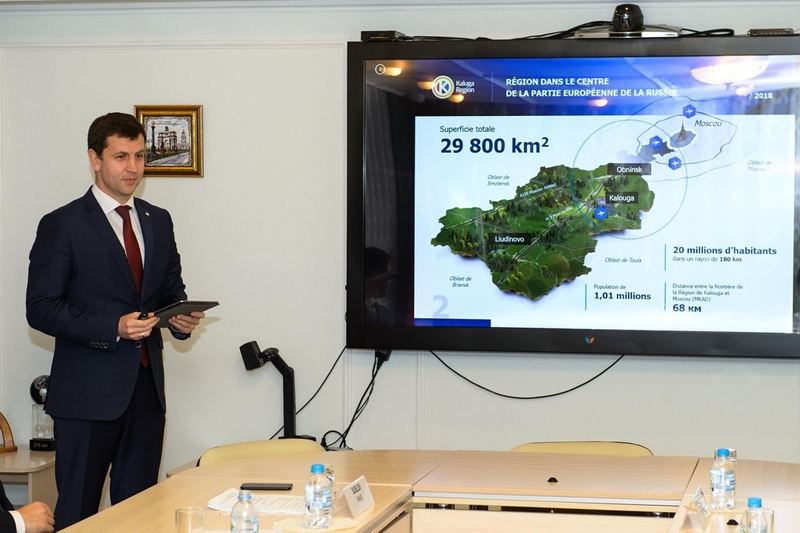 In the course of the meeting a presentation on economic and investment potential of Kaluga Region was made for the French delegation. On the same day the French delegation is to visit the House of Craftsman museum, Gostinnyi Dvor architectural ensemble and Ugra National Park visit center. Tomorrow the guests are to visit French companies’ production facilities, PSMA Rus automotive plant, L’Oreal cosmetics plant and Rose Fairy (Feya Rozy) greenhouse facility. The cultural program provides for visits to Polotnyany Zavod estate museum and St. Tikhon of Kaluga Hermitage.